The biggest closures are Space Mountain, Journey to the Center of the Earth, and Toy Story Mania! See the closures section for exact dates. 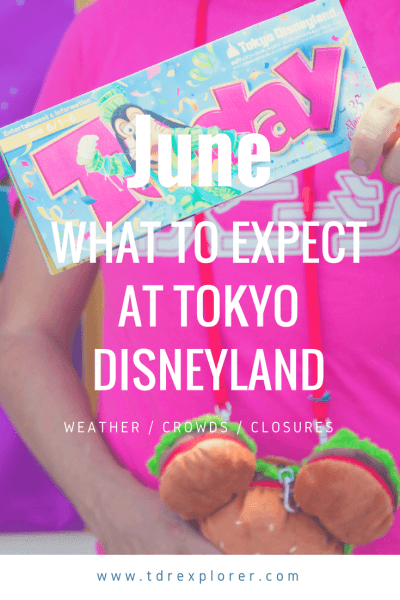 Are you off to Tokyo Disney Resort this month? Perfect your strategy at the Parks with our full 200-page e-book. I’m wearing one of the 35th Anniversary T-Shirts and the anniversary pin on my jacket. 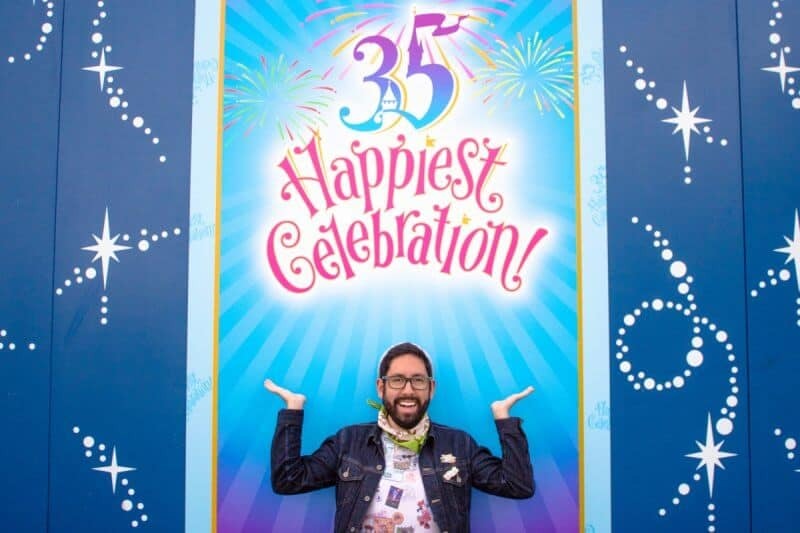 The month of May has new merchandise (even after all the new items for the 35th Anniversary). 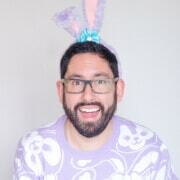 The pink merchandise is still available this month (see the video below to see what I’m referring to). Merchandise is always while supplies last and some items do sell out. The Disney Store items stick around for a few months after release while event merchandise at Tokyo Disney Resort is gone once the event finishes (no options to buy elsewhere other than checking Nakano Broadway). Seasonal merchandise (not tied to an event) such as the pink items are usually available for a few months but we don’t know until when. Crowds are on the lighter side in June due to rainy reason and no public holidays. Rain does keep the crowds away and especially during the evenings (many attractions become walk on some days). 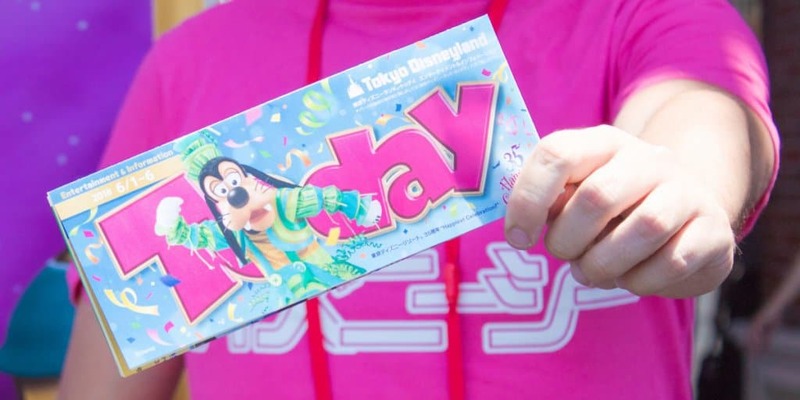 Read our full guide to rainy reason at Tokyo Disneyland for more. The average temperature for June is 21°C (70°F). The days are warm and the evenings are a bit cool (light jacket weather). Check our packing list, which covers items to bring with you for the weather. Expect a lot of rainy days (it varies every year). It’s best to have a poncho (the resort sells them), quick dry shoes, and an umbrella (pick these up at any convenience store) if it rains. Here are the closures and refurbishments for the month of May. Keep in mind that they stick to the schedule in most cases and things do not open early or late unless noted. For the most up-to-date list, consult the official website. Here’s a revised strategy for these major closures above at Tokyo DisneySea. 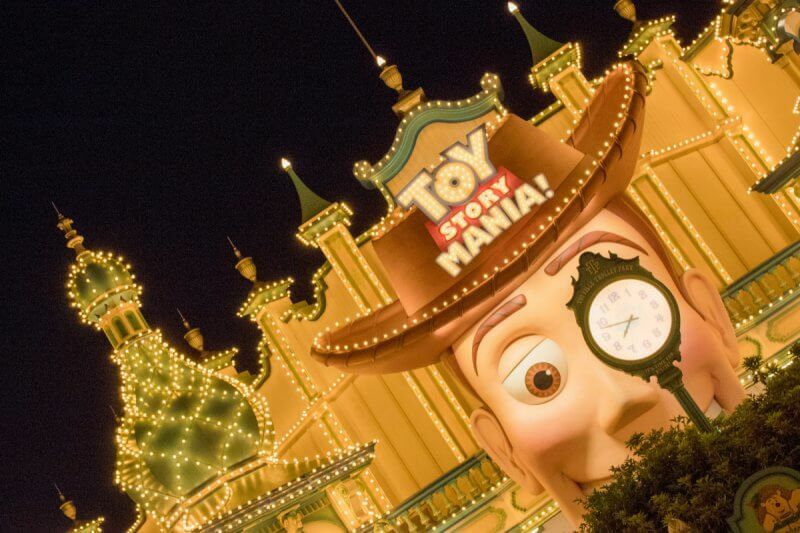 If you’ve read our best attractions and FastPass guide for Tokyo DisneySea, you’ll know these are among the most popular attractions. Another good strategy is to arrive at the park a bit later and give yourself time to eat at the hotel or on the breakfast buffets at the Disney Hotels! 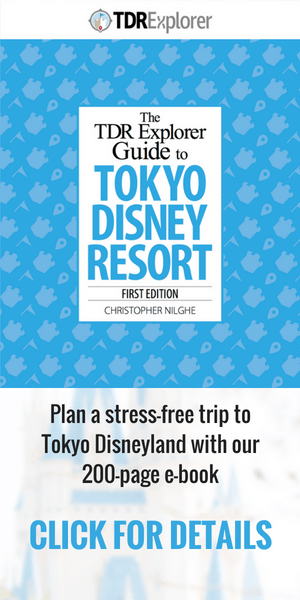 Hi Chris, Love your website helped me plan my trip to Tokyo Disney Resort from Aus. I am headed too Tokyo Disney Resort on the TDL on the 5th of July and Disney Sea on the 6th of July. Looking at the crowd calendar these seem too be good dates but was just wondering what you thought of them. Also what would your revised fast pass strategy be for TDL considering Monsters Inc is closed. Love your work man, makes planning that much less daunting!